NetBSD runs on many machnes, and the Raspberry Pi is one of them. Getting the stock distribution is not that easy, and to help in getting things going, Jun Ebihara is providing ready-made images for quite some time. There are images available that are based on the latest development snapshot, NetBSD-curent, and with the NetBSD 7.0 release around the corner, there is also an image based on NetBSD 7.0 Release Candidat 1. See the NetBSD wiki for many more details, and if you use your RPI for any cool hacks, be sure to let us know! Petri Laakso has worked to get NetBSD going on the iMX233/OLinuXino ARM board, specifically the MAXI and MICRO boards. The port is stable enough to run multiuser and build software from pkgsrc. Supported hardware include SD card, GPIO, USB host, and a boot loader. 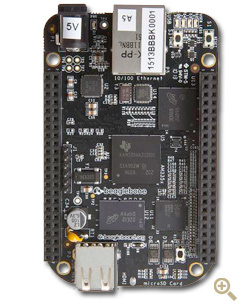 NetBSD runs on a number of ARM platforms, and the BeagleBone Black is one of many such platforms. It comes with Linux by default, and as such there are a few adventures to make if you want NetBSD on it. John Klos was brave, and has collected his experiences in a "NetBSD on BeagleBone Black HOW-TO". Please note that there's an important update that's needed to not nuke your MBR. So, anyone got some cool toys they make with a BeagleBone Black and NetBSD? Let me know! Time has passed since the last status update of NetBSD on the Raspberry Pi, and things have evolved: Recent news include drivers for USB with its many possible devices and display, allowing X to be ran - check out the screenshots provided by Jun Ebihara! There is also this posting on the port-arm mailinglist that gives details on an updates kernel image, Xorg.conf file to get X going and more news hidden in that thread. Anyone up for compiling a comprehensive NetBSD/RaspberryPi webpage, maybe on the NetBSD Wiki? 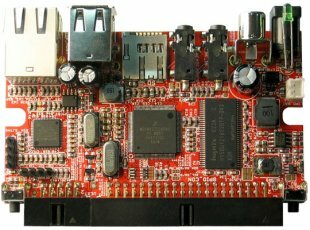 The Raspberry Pi is a pretty recent, cheap ARM-based board, or as the webpage says: ``An ARM GNU/Linux box for $25''. Shipping with today's Windows-for-embedde-boards operating system (AKA Linux), there's also a port of NetBSD on its way. Nick Hudson is at it, and he has posted first dmesg output now, showing the machine going to multiuser mode. The code's not integrated into mainline NetBSD-current yet, but rest assured that that will happen when the code is ripe. Good work, Nick!